The author and columnist covered a range of topics, including why he left the Irish Times, what he thinks of Twitter, depression and his dislike for Dublin. WHEN WRITER AND columnist John Waters appeared on Sean O’Rourke’s RTÉ Radio 1 show today, listeners expected the answers to pertinent questions – and O’Rourke asked many of them. Waters claimed the broadcaster prevaricated over an apology for comments made on the Saturday Night Show, and “things escalated”. Waters said that he initially asked for an apology and a small donation to St Vincent de Paul, and the situation “could have been sorted out” sooner. After an article written by Una Mullally was published in the Irish Times mentioning Waters, he approached the newspaper and said he was told “that my options were to either, ‘go the legal route or write a letter to the editor’. In other words a columnist of 24 years is reduced to writing a letter to the editor to defend himself”. Meanwhile, the dogs of war are unleashed week after week after week to attack me – who has been a columnist for 24 years. He also had concerns about the level of support he was receiving at the newspaper. 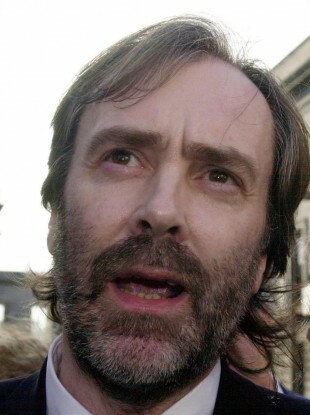 Asked if it is an “irrevocable parting of the ways” between himself and the Irish Times, Waters replied: “Yes”. He said that his supporters could write to the Irish Times’ editor “and ask him what the hell is going on”. Waters referred to a “chanting mob” on Twitter, and said he was concerned that there is a “mob on Twitter” dictating “what actually is important to the Irish media”. I was repeatedly asked by the journalist ‘are you suicidal, are you depressed’. And I responded impatiently to that in the way that you cited there. But I find it extraordinary that on the foot of that single response which was to… a personal response to an invasive question, that I have received phone calls all over this island, from the BBC from Cork, from everywhere. And yet I have written countless articles over 24 years in the Irish Times, about suicide, about the high preponderance of male suicides, about all kinds of issues. And I have received no phone calls at all from any of these stations. Waters believes the culture in the Irish Times has changed since he first started writing for it. He believes that as a “dissident voice”, “any time I mention certain subjects to do with God, faith, transcendence”, in his columns, he “would be subjected to a tsunami of hatred in comment threads at the end”. He has asked that comments be moderated or suspended. Waters spoke about the Irish Times, but also the media generally, saying that “there is something going on in the media that people need to be aware about”. I want to alert the Irish people to what’s happening. I want to actually say this is important, this is important for me to give up a position like that. This is what is at stake here. Your freedom is at stake. The Irish Times is not just a private institution. It’s a bulwark of Irish democracy. Waters said they were all “very short” and were “absolutely vile”, often containing expletives and “personal commentary about my family life, perhaps, or about my appearance”. He noticed a pattern with the emails, saying that they came in waves. Waters said he has “never been on any programme” to talk about gay marriage, and has also turned down invitations from high-profile shows “because they assume they know my position – and I can assure they don’t”. However, he said he did outline his position on gay marriage in an email to his Irish Times colleague, Una Mullally. “I don’t think I am against gay marriage per se,” Waters told O’Rourke. As he was was also called a homophobe during the last Presidential campaign. He received an apology from TV3 after this occurred. Email “10 things we learned during John Waters' RTÉ interview ”. Feedback on “10 things we learned during John Waters' RTÉ interview ”.